I am going to start a series called Now You Know. This will be an opportunity for me to share information about skydiving, the Drop Zone, the Allegan Airport and/or whatever else I think pertinent with my fellow skydivers or skydivers to be. If you have a suggestion for topics in Now You Know please… Let Me Know! 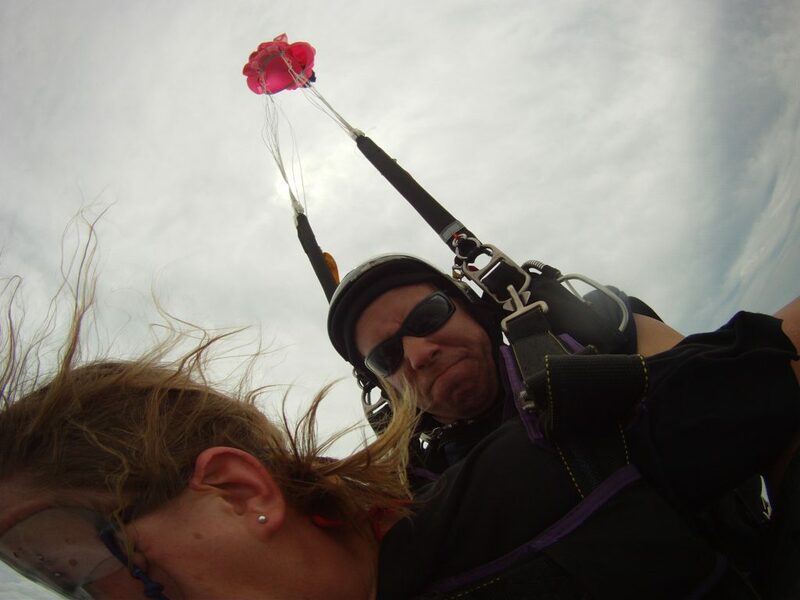 So now for this episode of Now You Know…..
Every off season (November through March) Skydive Allegan sends all of its student and tandem main parachutes to the manufacturer for inspection. While I am qualified as a Federal Aviation Administration Certified Parachute Rigger to inspect the canopies, I feel who better to scrutinize these life saving devices than the people who built them. The manufacturer has equipment to test the permeability (how much air passes through the fabric), lighted tables for detecting minor imperfections in the parachute, measuring equipment for assessing whether the suspension lines are of proper length (also called line trim which affects how the parachute opens, flies and lands) and an intimate knowledge of how the canopy was built. Many times while out for inspection, the canopies are recommended to have patches, new suspension lines or even suggested to be taken out of service. Who are we to argue we always approve these repairs or follow the advice of the manufacturer. These inspections are not mandatory. While the FAA requires inspection of the reserve or emergency system, there is no requirement for inspection of the main canopy. The main canopy does most of the work. The repeated packing, forces experienced during the deployment and exposure to sunlight during descent are hard on parachutes. Also, it is not uncommon for these canopies to make hundreds even thousands of jumps in a lifetime. Additionally, every Spring our Instructors jump these recently inspected parachutes for evaluation to determine they are ready for student training. They visually inspect the canopy during flight, assess the flight characteristics and stall point (how long the canopy can fly in deep brakes before stalling) as well as the landing flare. Sending our student mains to the manufacturer for inspection every year gives us peace of mind and confidence in our equipment so we can focus on training and having fun.